ＦＲＯＳＴＯ Delicious and rushy funky Ｖａｐｏｒｗａｖｅ　ぴヮ宇, with selected Ａｅｓｔｈｅｔｉｃｓ. A beautiful fresh release with some good 80's popular samples to enjoy while taking care of your mullet. It is absolutely my Favorite track: ＷＨＯＡ. Dren76 Really unique sound here. JD SenuTi (fka DJ i T u n e s) takes their sample manipulation to the next level. Some tracks are so chopped up it's hard to distinguish lyrics at times; this chaotic sound is often hindered by the rough production quality, unfortunately. Still a very interesting result though, so suggest it because you won't find this style elsewhere. [6/10] Favorite track: ＮＥＷ ＨＵＭＡＮ. pC Going back through my BizCas collection, I came across JD senuTi before stumbling across this album. I was wondering why I liked it, until the names clicked. With their first album, I can hear where they came from, and how much their sound grew. Even so, the usage and looping samples here are very keen and enjoyable. 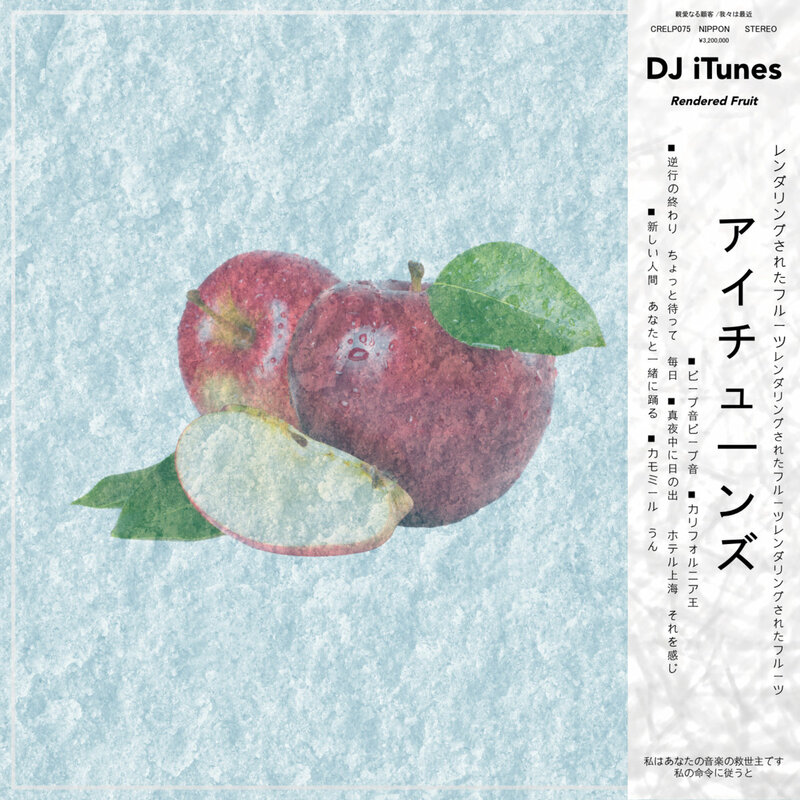 Their albums are always good, as DJ ｉＴｕｎｅｓ, and now as JD senuTi. Favorite track: ＣＨＡＭＯＭＩＬＥ. Jean-Paul DuQuette Vapor for a funky afternoon. Favorite track: ＥＮＤ ＯＦ ＲＥＴＲＯＧＲＡＤＥ. chris 1,5,7,8,10-13 are good as well just had too choose beep beep Favorite track: ＢＥＥＰ ＢＥＥＰ.